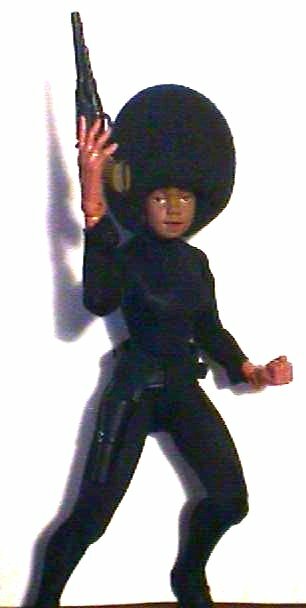 Private investigator Misty Knight is an ex-NYPD patrolwoman. Her firm, Nightwing Restorations, operated with partner Coleen Wing, is one of the most successful in New York City. Misty has been romantically linked with Daniel Thomas Rand, AKA Iron Fist, a founding partner of Heroes for Hire. She's been seen standing up to villains as powerful as the Wrecking Crew, fearlessly defending civilians with her Colt Python. 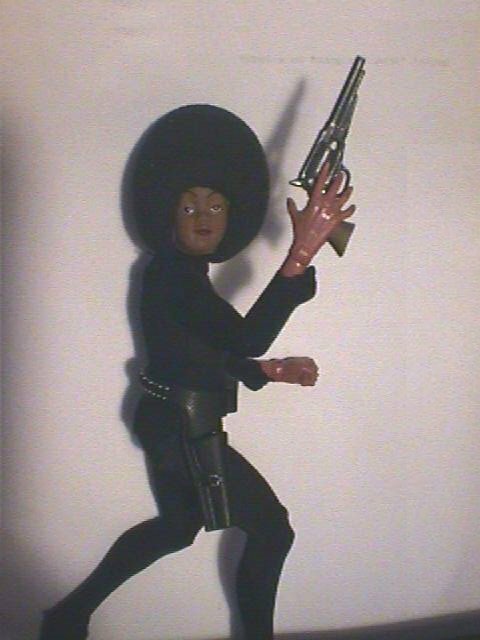 Storm body, Black Widow costume, James West's gun and gunbelt. Head from an African American "Angel Doll" kit from my local craft store. 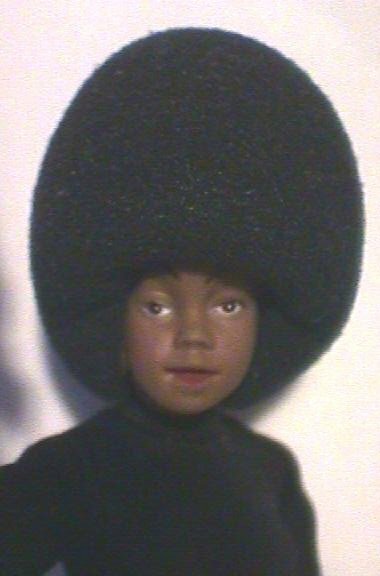 The Afro is a black foam rubber microphone protector, suggested by a friend on the "Famous Covers" mailing list, but I'm doggoned if I can remember who.